Find a video URL and want to know how to convert URL to video in MP4 or MP3 format? If so, an URL video converter will be the best helper for you. There are many online URL video converter from the internet, but they might fail to analysis the video or low down the video quality. So how to choose the best URL to video converter? No worry! We will recommend a secure and full-featured video downloader program for URL converter to download and convert URL to MP4 video and any other formats. iTube Studio URL Video Downloader is the highly recommended tool to download online videos with URL. This URL video converter for Mac and Windows lets you easily convert URL to a video file on your computer, no matter what format you want. All popular video sites are supported, including but not limited to YouTube, VEVO, Vimeo, Break, Metacafe, Aol, TED, Comedycentral, MTV, CBS, Yahoo, BBC, ESPN, BlipTV, WatTV, VideoBash, FunnyOrDie, The NY Times, etc. 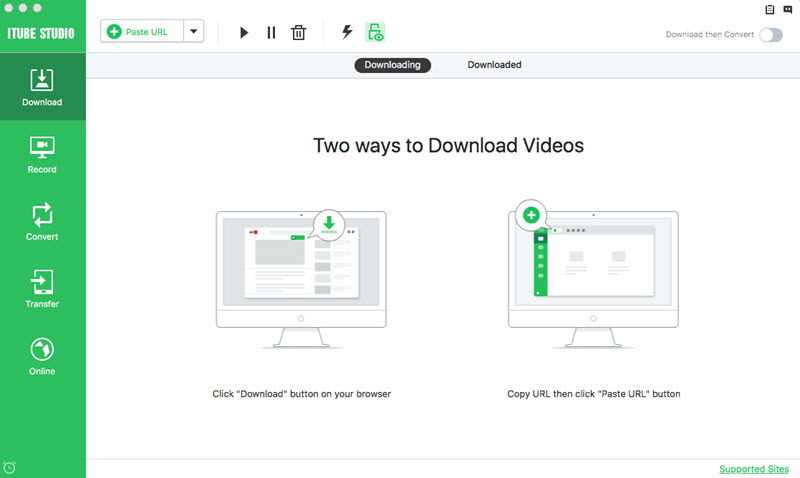 Download videos from 10,000+ sites with URL or download extension at 3X faster download speed. Convert URL to video in MP4, MOV, WMV, MKV, MP3, M4A, and any other formats. Built with a video recorder allowing you to capture any online video from any online video site. 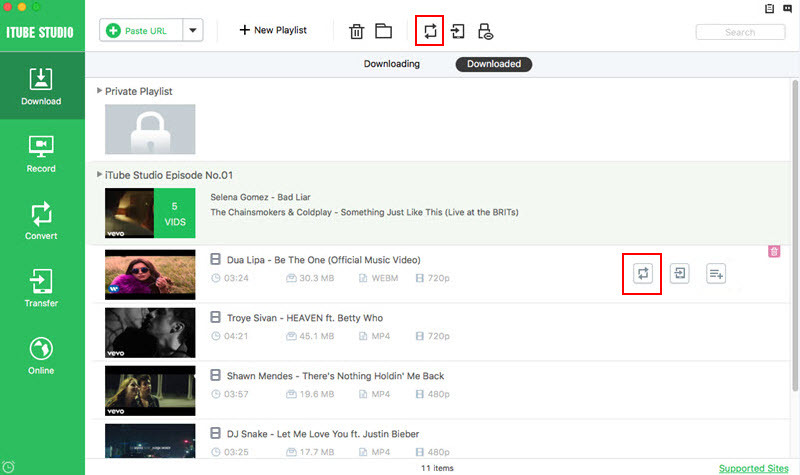 Support batch download multiple videos at the same time, such as YouTube playlist or channels. Directly play the videos with the built-in player, and organize the videos in your library. Transfer downloaded video to portable devices to enjoy at anytime and anywhere. This powerful URL video converter can work well on Mac High Sierra, Sierra, EL Capitan, Yosemite, Mavericks, Mountain Lion, Lion, Snow Leopard and Windows 10, 8, 7, XP and vista. Below will show you how to convert URL to video step by step. After downloaded this URL to video converter software, double click the file to install it to the Application folder on Mac or C: partition on Windows. When done, run this URL video converter like other applications. Copy and paste URL. The easiest way to convert URL to video is to copy and paste URL. You can directly click the "Paste URL" button to download video from its URL after copies it from the address bar of web browser. Drag and drop the URL. Alternative, drag and drop the URL icon to the primary window of the application or the dock icon. The application will start downloading video from URL immediately. Click "Download" button. 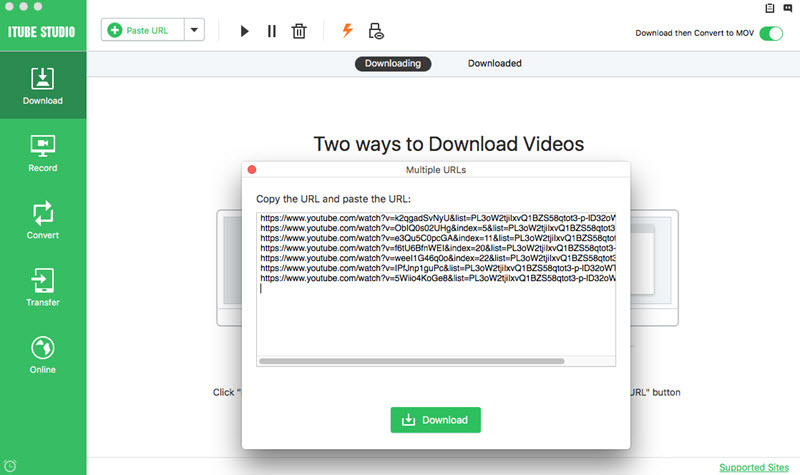 The third way is by clicking the "Download" button on top of the video which is provided after the application detected and analyzed the video URL. Which way is better? It's up to you. After downloaded video from URL, you can convert it to any format, like MP4, AVI, MOV, MP4, WMV, AVI, ASF, MPEG, FLV, 3GP, MKV, and more. 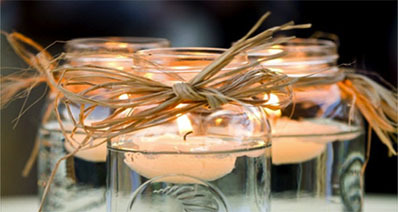 An array of video presets for mobile devices are also included. Thus you're able to watch the video on your devices without any hassle, including iPhone 8, iPhone 7, iPhone 6S, iPhone 6 Plus, iPhone 5S, iPhone 5, iPad, iPod, PSP, and so on. 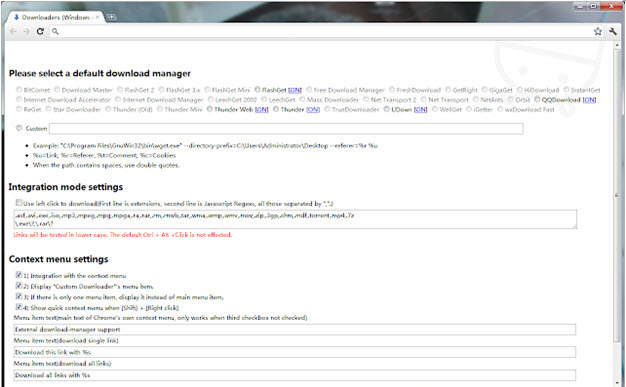 To convert the downloaded video, go to the "Download" menu to find the video list in the "Downloaded" tab. And then click the "Add to Convert List" to import the videos to the "Convert" menu. Now open the "Convert" menu and click the "Convert" button on the right of the video you want to convert. In the slide down window, choose the format you want to convert to. 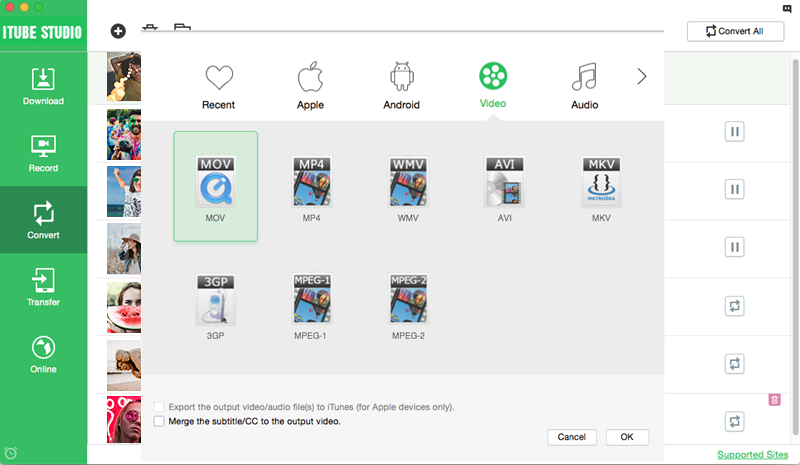 If an Apple Device is chosen, and the option "Export to iTunes" has been selected, the converted video will be imported to iTunes library so it's ready to sync your video to your Apple device quickly and easily. Done. Now you can convert URL to video effortlessly with the help of URL Video Download and Converter (or the URL video converter Windows version). The need to convert URL to video arises when a person is supplied a URL link as the location of the video that he or she was looking for. In that case, what would he or she do to get the video? They would have to convert the URL. The best possible way to do this is to use a URL video converter. Needless to say, in this era of Internet, a number of URL to video converter online service are available quite easily. 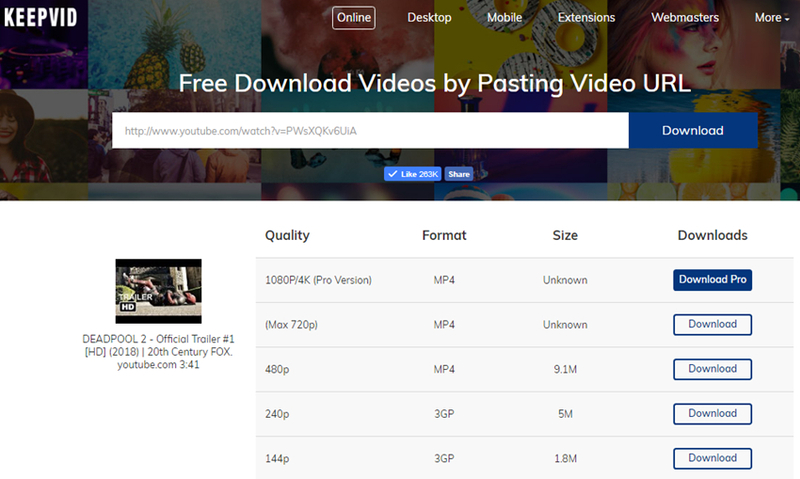 But, when you convert URL to video online free, you will get many limitations in file size, file number, video quality and other. While URL video converter excels because it can catch and download videos directly for the URL and lets you convert video to any format you want without any other software. This is how a URL video converter can convert URL to video within a short time.